Orange County Library December 2018 Events – Enjoy Cookie decorating, caroling, Fortnite and plenty of holiday fun only at the library this December. All are welcome this December at the library for lots of holiday fun and games your children will love. Visit a library near you for Cookie Decorating where kids can decorate their own cookies with frosting, sprinkles, candy and more yummy toppings. See below for more details. The West Oaks branch invites you to the second annual Family Holiday Festival on December 1. Enjoy a fun-filled day with the whole family and participate in games, win prizes, enjoy light refreshments and have your family holiday photos taken. The festivities start at 11 a.m. Then on December 8 join us at the Herndon branch for Fortnite Frenzy for some games and prizes inspired by the popular video game. Feel free to bring in your laptops and mobile devices to play with friends. Saturday, December 1, 11 a.m.–1 p.m.
Holiday cheer is here! Again! You are invited to our Second Annual Family Holiday Festival. 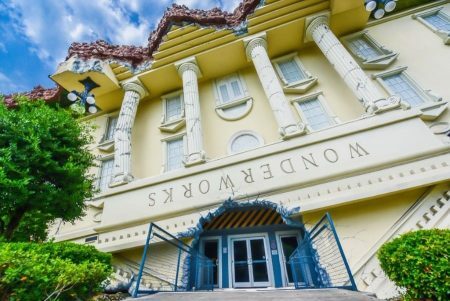 Enjoy a day filled with fun, photos and food. Bring the whole family to have a holiday photo taken, make a holiday bracelet and enjoy holiday stories and crafts for the kids. Light refreshments will be served while you mingle and meet others. Enter to win a fantastic family prize. Registration required. Monday, December 3, 11 a.m.
Tuesday, December 4, 10:30 a.m.
Thursday, December 13, 2 p.m.
Wednesday, December 26, 11 a.m.
Friday, December 28, 11 a.m. Warm your helping hands to assemble a winter treat in a jar. Layer festive cake, sweet frosting and colorful sprinkles to make a delicious gift! Learn cooking skills such as kitchen safety, layering, measuring, smearing, tasting and presentation as you interact with a delicious recipe. Recommended for preschoolers. Preschoolers will explore and learn in these action-filled classes where they can sing, chant, move, dance, listen and play simple instruments. Each lesson features movement activities for coordination, body awareness and control, and exploration of space and emotions. Presented by Central Florida Community Arts, a continuum of arts education and experiences for a lifetime. 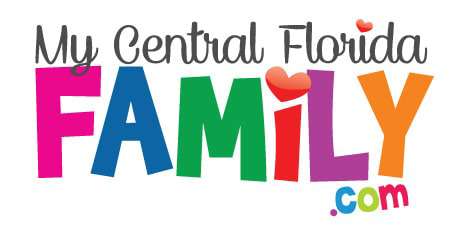 To learn more about Central Florida Community Arts, visit cfcarts.com. Ages 24 months to 4 years. Space is limited. Registration required. Register online at ocls.info or call 407.835.7323. Monday, December 3, 4:30 p.m.
Tuesday, December 4, 3:30 p.m.
Thursday, December 6, 11 a.m.
Thursday, December 13, 5 p.m.
Saturday, December 15, 11 a.m.
Tuesday, December 18, 5 p.m.
Saturday, December 22, 11:30 a.m.
Friday, December 28, 10:30 a.m.
Frosting, sprinkles, candy and cookies … what more could you want!? Stop in and express your creativity by decorating a sugary treat. Then enjoy the best part of all, eating it! Recommended for lower and upper elementary. Tuesday, December 4, 4:30 p.m.
Come and decorate your very own gingerbread person. Recommended for lower and upper elementary. Tuesday, December 4, 5 p.m.
Wednesday, December 5, 3:30 p.m.
Wednesday, December 5, 4 p.m.
Saturday, December 8, 2:30 p.m.
Wednesday, December 12, 4:30 p.m.
Saturday, December 29, 11 a.m.
Tuesdays, December 4 & 18, 6:30 p.m.
Is there anything you can’t build with LEGO? Let’s find out! Join us for lots of building fun. We provide the LEGO – you provide the creativity. Recommended for lower and upper elementary. Thursday, December 20, 3:30 p.m.
Saturday, December 22, 2 p.m. It is the end of the year, but don’t shed a tear! Test your 2018 pop culture knowledge with trivia and share your biggest accomplishments from the last 365 days. Recommended for teens and tweens. This musical program is an interactive storytelling event that uncovers the histories behind the most beloved Christmas carols and songs. What is a “carol” anyway? Who is the true love in The Twelve Days of Christmas? Why was the song Santa Claus is Coming to Town based on a tragic event? What is a “welkin” and what does it have to do with angels harking? Discover the dirty little secret behind Deck the Halls and so much more! Audiences will be treated to dynamic solos and several chances to sing along during this festive seasonal event. Enjoy some fun and festive holiday songs performed by the Orlando Dickens Carolers. Join us as we celebrate National Cupcake Day. Kids will decorate a holiday themed cupcake. Recommended for lower and upper elementary. Create a memory that will last forever and make an adorable hand and foot print ornament. Registration required. Recommended for babies. Wednesday, December 19, 3:15 p.m. Create handmade decorations, ornaments or simple gifts for the Holiday season. Recommended for lower and upper elementary. Join us for a special PBS Pajama Party all about Daniel Tiger with awesome crafts, stories, episodes and activities. Wear your favorite tiger gear (or PJs), bring a tiger buddy and join the fun. Friday, December 28, 11:15 a.m.
Join us for our very own children’s version of New Year’s Eve. The fun will include making crafts, noise makers, yummy treats, New Year’s resolutions and counting down to noon with a balloon drop finale! Recommended for children of all ages.